Hello and welcome to our first official sponsored Sundae Sunday. 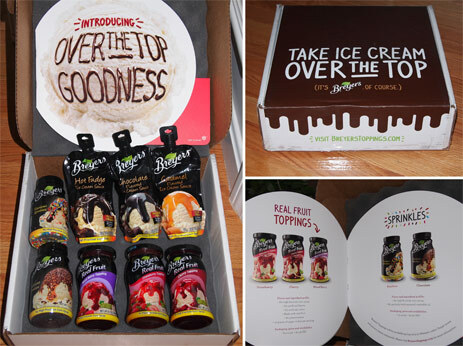 That's right, Breyer's has jumped into the sundae topping game this year and sent over this very official sundae kit. Pretty cool right? You know I adore making sundaes as much as I adore eating them. To me it's a very creative experience and today my color palette is full. The nice thing here is that they try to keep the ingredient list fairly short, and as an added bonus, no high fructose corn syrup! 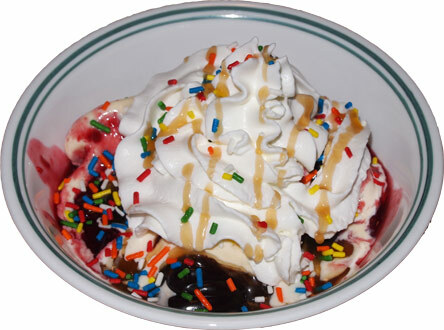 You know what, let's do a little sundae tease before we start getting into specifics. Now if you want to rock Sundae Sunday right, why not start the day off with a breakfast sundae? Hey, this is still part of a complete breakfast if you ask me. I've got my carbs (waffle), I've got some dairy (berry ice cream and whip cream), and I've got some fruit to top it with. I do love jelly on my morning toast and this is just kind of a natural transition from that. Man this was tasty. Are you hungry now? Good, let's see what's new with Breyers. So many ice cream toppings! 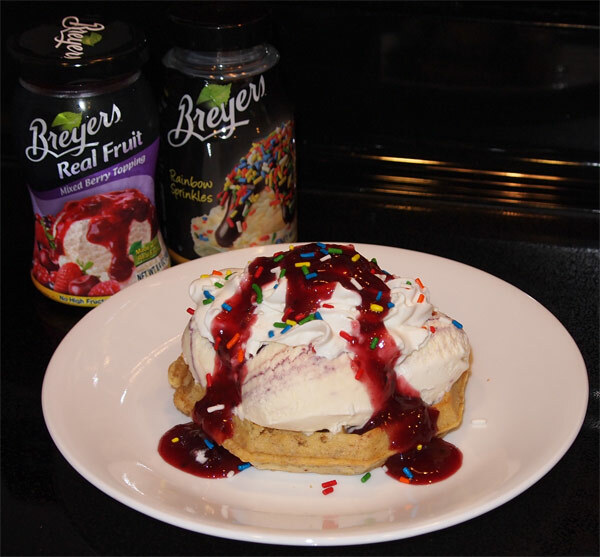 Ok, prepare for Breyers Sundae Sunday! Ready to make some sundaes? Well, we can't do that without some ice cream! 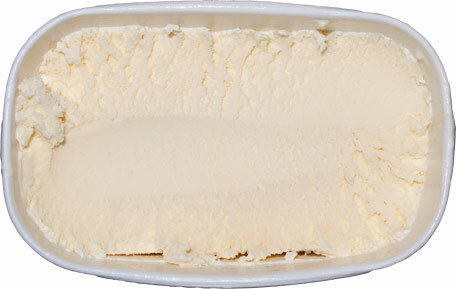 Breyers included a coupon for a free tub of ice cream, so I used mine to buy one of their new oversized ice creams. These new "Bonus! 2 more scoops" containers also come in chocolate and strawberry, but I figured the homemade vanilla ice cream would be the cleanest base to test out these toppings. It's soft, smooth, and has kind of an eggy vanilla flavoring to it. 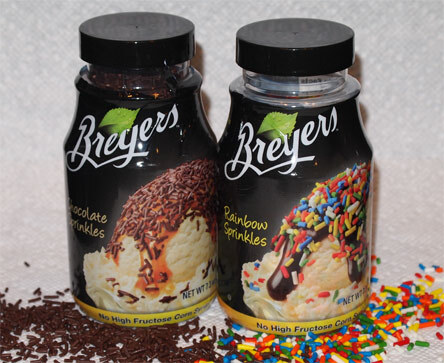 Ok, the Breyers Sprinkles might be my favorite part. 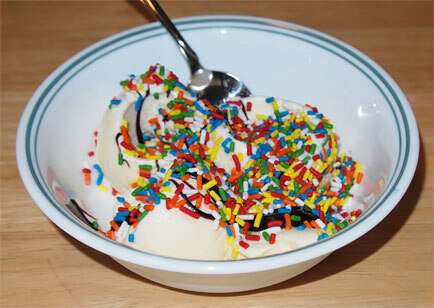 I decided to eat a scoop of the rainbow sprinkles and they've got this nice little bit of sweetness to them. They are crunchy, but pleasantly so. It's almost like Pez made sprinkles. I was really impressed so I ate another scoopful. Next I cracked open the chocolate sprinkles. They've got a strong aroma of cocoa, but the sweet taste is very close to that of the rainbow sprinkles. The cocoa ones are also thinner than the rainbow ones but they still had a similar crunch. 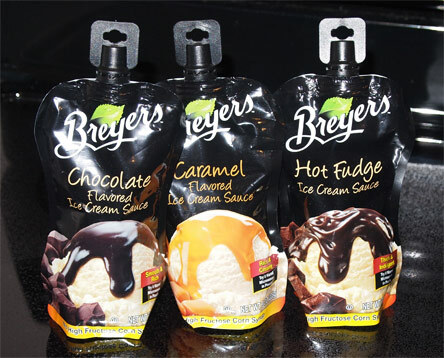 The next part of our sundae kit is the squeezable Breyers Ice Cream Sauce that comes in chocolate, hot fudge, and caramel. The chocolate reminds me of a really smooth chocolate frosting while the hot fudge is more of a traditional flavor. Both are fairly thick, but the container says you can microwave them if you want. The caramel is probably my favorite of the bunch. It's a thin sauce that has a nice buttery flavor to it. I may or may not have been tempted to just eat the caramel sauce by itself and call it a day. 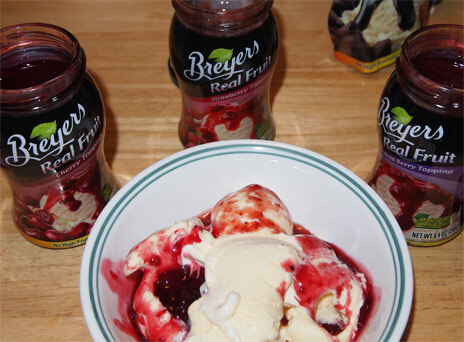 The last part of our delivery is the 3 member line up of Breyers Real Fruit Topping. As you may have noticed, they are fairly liquidy (even when chilled). For example, the strawberry sauce pretty much tastes like a runny strawberry jelly (wait, runny probably sounds funny, but it's a sundae topping, it's suppose to be runny). Then there are cherry and mixed berry variations, all come with chunks of real fruit, so just pick whichever flavor you prefer. The important thing to note here is that these have a little bite to them. I expected a blast of sugar but instead they pull that back and then add that little bit of tart to it. Basically a little goes a long way. And this is the sundae of a crazy blogger. That's right, I shoved every single topping into one bowl like there was some realistic chance I could tell everything apart. Yeah, I'm good, but I'm not that good. Oh sure it was fun trying, but I got a way better read on the toppings sampling them one by one then with this crazy concoction. So, that's it. I hoped you enjoyed this special edition of Sundae Sunday. 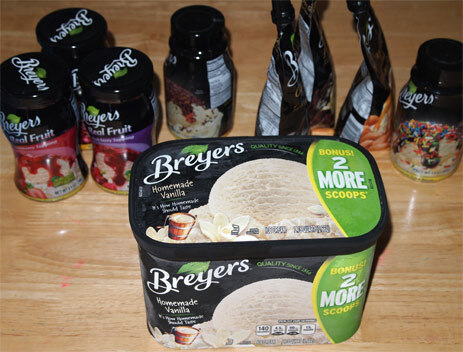 Big thanks to Breyers for all the free samples, we'll be sure to enjoy them as we finish them over the coming weeks. If you want, head on over to breakfastsundae.tumblr.com to follow all of my breakfast sundae adventures which often include Breyers ice cream toppings. First off, congrats on the sponsorship. I remember when the blog was a simple place...hehe Is Breyers going to be coming out with that sundae kit for mainstream people to buy? What a cute idea! HFCS is evil I tell you! After switching to Frozen Dairy Desserts as a staple of their products I've decided not to touch anything Breyers with a 10 foot pole...what a joke.